Proponents of the regulations praised the passage, saying the halt will benefit ride-hailing drivers who face an oversaturated market and help ease traffic on the city’s clogged streets. “Our city is directly confronting a crisis that is driving working New Yorkers into poverty and our streets into gridlock. The unchecked growth of app-based for-hire vehicle companies has demanded action – and now we have it,” New York Mayor Bill de Blasio said on Twitter. “More than 100,000 workers and their families will see an immediate benefit from this legislation. And this action will stop the influx of cars contributing to the congestion grinding our streets to a halt,” he added. 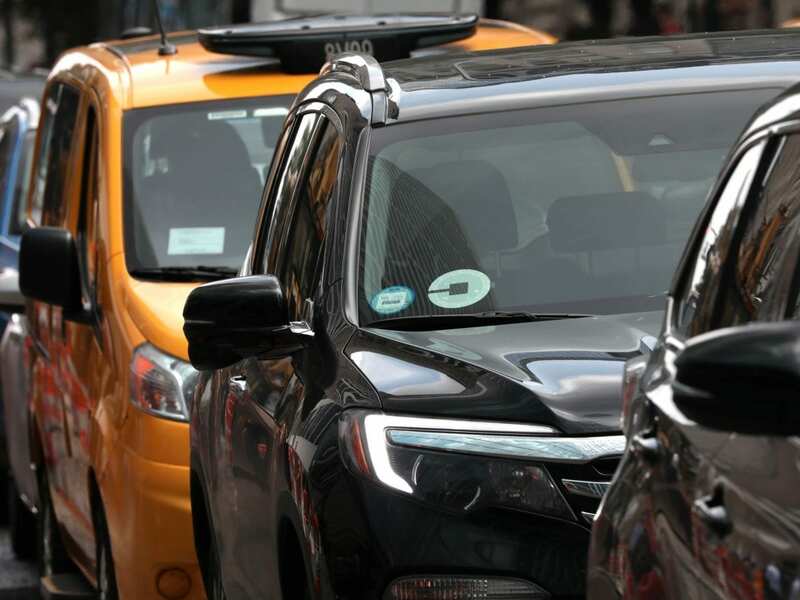 Uber and Lyft strongly opposed the measure and say many New Yorkers depend on the services at a time that the city’s public transportation system has seen frequent delays and breakdowns. The New York City’s Taxi and Limousine Commission (TLC), has issued licenses to about 130,000 for-hire vehicles in the city, according to the city council. Yellow taxicabs make up about 13,600 of those, a number that’s “remained relatively level for decades,” according to the council’s Committee on For-Hire Vehicles. An average of 1,700 new ride-hailing cars “have become active every month” since May 2016, according to the committee’s report, which says the rapid increase in Uber and Lyft cars more than offsets the decline the city has seen in traditional cabs. At least six New York taxi drivers have killed themselves within the last year, with some citing financial hardship as the reason. Advocates for the ride-hailing cap say a limit will help for-hire vehicle drivers benefit from less oversaturation in the market, as drivers have their cars empty about 40 percent of the time they’re on the road. “They’re talking about putting a cap on Uber, do you know how difficult it is for black people to get a yellow cab in New York City?” activist Rev. Al Sharpton wrote on Twitter. The cap has exceptions: if the TLC “determines there is a need in a particular geographic area and there isn’t a substantial effect on congestion,” the city council says. Vehicles accessible to wheelchairs — which, according to the measures’ sponsor Council Member Stephen Levin, make up 0.5 percent of for-hire vehicles — are also exempted from the freeze. Mayor de Blasio previously tried to pass a cap on Uber cars in 2015, but came up against what WNYC’s Stephen Nessen describes as a “ferocious PR campaign” from Uber against it.